I just did pretty darn good. Another quart of ghost peppers like I need anymore. Oh... I have two quarts I picked just the other day.... not that I am planning on eating anyof them...Now if I can sell them. Of not I will dry them and sell ghost pepper powder? I would ferment them and make a sauce with lime juice and sugar. Just a wee drop on food is to die for, I keep it in the truck for work. Worth, can you give us your recipe for the fermented pepper sauce. I want to try making some, sorry for the bother if you posted it previously. No worries but keep in mind I do it by taste. I will be back with it soon right now I am cooking blackened Redfish I caught. Cant afford to burn it. Wonderful. Thanks for sharing. 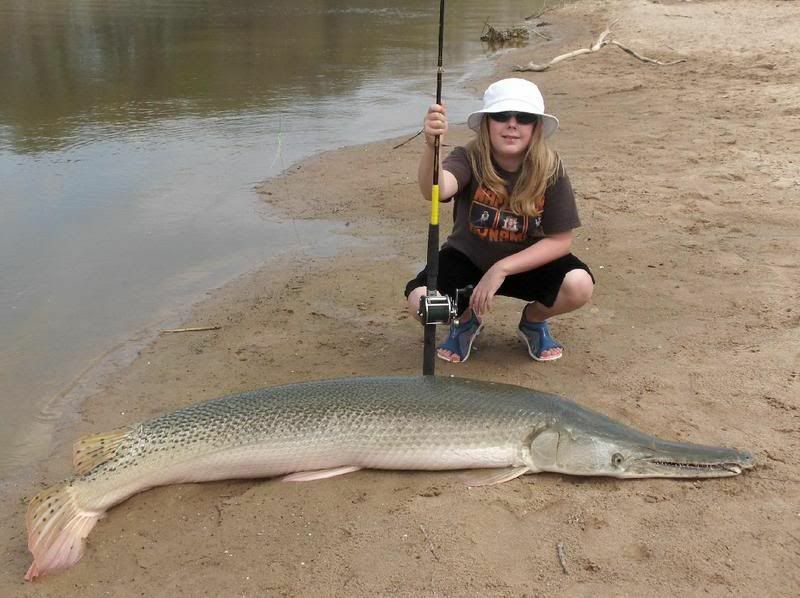 Speaking of fish... Did you see the story of the 8' gar caught in Texas? That is a huge fish. No but I looked it up. Glad he let it go back. Here is one that impresses me big time caught on a Penn 209 in Texas. Fishing the Illinois or Mississippi with my dad, when I was a kid... alligator gar and carp/buffalo were "trash" fish... Until a real river man showed him how to clean a carp, but not so much an alligator gar. Now it's all Asian carp where we fished, and you hunt them with bow and arrows and nets. And you need a good Louisana cook to show you how to clean them and eat them. Mine are in the fridge nice and crispy, his are mush...lol! I have some in the fridge that if I pop the lid on them they fizz like a soda pop. No hurry, my peppers are no where near ready to ferment. Thanks. Someone I know is trying to introduce me to a lady. She texted me last night to call her and I did. This was about the time I was going to sit down and explain what I do with the peppers. It seems complicated but it isn't but now I am on my phone. It is all up to the taste of the person making it. Everyone that has tried it loves the stuff and you cant buy it anywhere. I'll get the fermenting suace recipe out tonight if I can. Mentally whipped every day after work. Whenever you have the time, don't rush or stress about it.